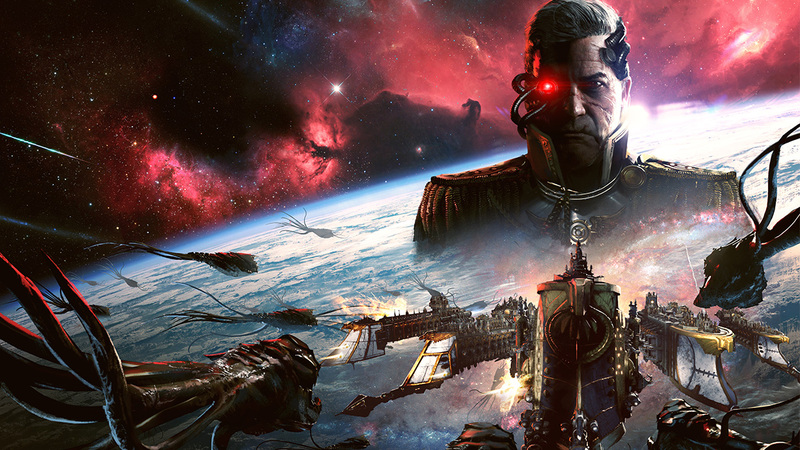 Battlefleet Gothic: Armada 2, the space RTS based on the classic tabletop game set in the Warhammer 40,000 universe, will run two pre-order beta phases ahead of its release on January 24 next year. On this occasion, discover 10 brand new screenshots of the game, captured during gameplay. The betas will feature a selection of content, including all of the 12 factions, the introduction of two of the three massive narrative campaigns, and much more. Players who pre-order between now and release will receive access to both betas, and their vital feedback will help make Armada 2 the best game possible. The first beta will take place in early December and is focused on multiplayer and balance. All 12 factions, the full multiplayer progression system, custom games, plus 2v2, 1v1, and versus AI will be available to everyone who pre-orders before or during this week-long event. Developers Tindalos Interactive will use this opportunity to listen to feedback on everything, from the balance of individual ships to the rate of unlocks. Custom fleets built of any combination of ships from a faction allow for a totally open system and Tindalos are looking forward to seeing what fans will cook up. Beta 2 will begin in January and run up to the launch of the game on the 24th. This will include all the content from Beta 1, including patches and improvements developed during the downtime, plus hours of single-player campaign content. Included will be the Campaign Prologue - acting as a tutorial and story set up - as well as the first sectors of two campaigns. It will give a preview of the ship-building, empire-conquering, narrative-driven offerings of Armada 2 and will be just a taste of the full game. Throughout and between both betas, Tindalos Interactive will be providing constant updates to fix bugs, apply balance changes, and track all the most important issues of the community. All pre-orders will receive access to both betas, and come with a 10% discount. Those who own the original Battlefleet Gothic: Armada will instead benefit from a 25% discount. Battlefleet Gothic: Armada 2 releases 24 January 2019 on PC. Beta 1 begins early December, and is available to all Steam pre-orders.